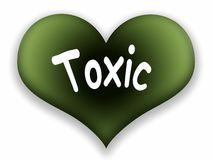 Toxic love is an unhealthy type of love, the type of love that intoxicates. Toxic love is poison, a type of silent gun powder. I’ve experienced this type of love before. Toxic love is a sickness in the hearts of the participants. It is a union of unhealthy and needy individuals. It is a parasite of the human spirit. It uses another person’s weakened spirit to survive. It is emotional cancer that destroys the healthy parts of a person until there is nothing left except an empty shell– unless its progression is stopped! A person in a toxic love relationship can fool themselves and their partner into believing that they are protectors, givers, nurturers. The condition of the relationship is one of uncertainty, anger, neediness, insecurity, and suspicion. Once a person is deeply involved in a toxic love affair, they gradually lose the ability to recognise behaviour that is unhealthy and unacceptable. They eventually lose touch with the concept of a healthy relationship. What are the Signs of a toxic relationship? Frequent quarrels: I once had a relationship where we fought every day, even over the minute issues. If you’re in a relationship and all you guys do is fight, my dear you’re in a toxic relationship. If there are more fights than peace what you have is toxic. Ask yourself since when you started dating, what do you feel about yourself? Do you feel less than yourself or more confident? Does the relationship make you feel worthless or not good enough? If the answer to these questions is yes, then you’re in a toxic relationship. When you spend time together, do you feel uplifted, relaxed, and confident or do you feel depressed, nervous, and unsure? When you’re apart, do you feel certain and at peace about your relationship or do you feel confused and anxious about it? I was once in a relationship, where the guy made me feel inadequate like I was not good enough for him and I had to struggle to keep up. In fact, when we broke up, I was so at peace, I myself was surprised. In a toxic relationship, either one or both partners are obsessed with the other. Obsessiveness exhibit itself when your partner demands to know your whereabouts, demands to know who’s calling at every point in time, practically suffocating and intoxicating you, then you’re in a toxic relationship and if you don’t get out when you can, it’ll burn and consume you. When your partner tells you I can’t live without you, you’re the essence of my living, please know you’re in a toxic relationship. Point to note: there’s no human being you cannot live without, it’s only God that you cannot live without. In toxic love, there is an obsession with trying to change your partner into someone else, instead of loving them for who they are. Anyone who knows me knows that I’m not a makeup person, but my then boyfriend wanted me at all cost, to start applying makeup, mandated me to learn makeup but wouldn’t pay for it. He said I don’t have a big bum, so I should start doing squats, that doing squats would make me have a bigger bum. I personally prefer doing braids, I have nothing against fixing human hair but I prefer braids rather than human hair. But dear “boyfriend” wanted me to only fix human hair, but the irony is he refused to buy any; I should use my money to buy a hair I do not like. Even when I finally bought one, he said it was too cheap. He wanted to change me at all cost, and when he met with resistance, it was trouble. In Toxic relationships, you’re not loved for who you’re, but you’re loved for what they want you to become. In toxic relationships, conversations are intended to blame, defend, or manipulate your partner. Either or both partners do not take responsibilities for their actions but rather seek a way to transfer blames and manipulate the other to do what the other wants. Lying is a very common thing in toxic relationships. If you cannot trust your partner or he/she often lies to you, then you may be in a toxic relationship. Another method for determining whether you are in a toxic love relationship is to tune in to what your intuition, or gut feelings, are telling you. (Intuition and gut feelings are different names for the same thing. There’s always a form of abuse in a toxic relationship, either verbally, emotionally, physically etc. A toxic relationship is a result of a needy, insecure and emotionally unstable person. Watch out for people who jump from relationship to relationship, indecisive and extremely jealous people. If you’re in a relationship with any of the above, then what you probably have is toxic love. Avoid this group of people like a plague. When you find yourself in a toxic relationship, please get out of it IMMEDIATELY. Work on your self-esteem and confidence. Find something you’re good at and focus your energy on it. Know that YOU ALONE are responsible for your own happiness; do not give anybody that exclusive privilege. You’re your OWN RESCUE, NO ONE on this earth is your saviour. You’re responsible for everything that happens to you, and how you perceive yourself is how others will treat you. I love you for reading, thank you for stopping for by. Kindly drop a comment. Wow! This is really interesting; after reading this, I know I am in one of a Hell Toxic Love affair! I'm going to get out immediately, Thank you so much. I'm happy you found this piece interesting. I'm more grateful that it spoke to you. God bless you and may He give you the strength to do the needful.